With the ever increasing ubiquity of Linux in both the server and embedded markets, Open I.T Trainings introductory and intermediate Linux training courses provide both companies and individuals with a variety of training options to increase their knowledge and use of Linux. 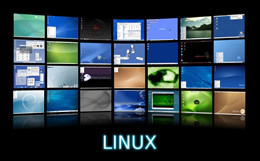 We have kept our Linux Training courses vendor-neutral to give you an overview of Linux. Whether time-to-market or the high performance of Linux are critical to your business or you are looking to up-skill, Open I.T Trainings Linux courses provide a unique return on investment opportunity that will pay for itself many times over. For individuals, the demand for Linux talent is at an all time high. Open I.T Trainings Intermediate to advanced Linux training provides Linux developers and Linux system administrators with the opportunity to capitalize on the talent gap. With the Linux server market at an all time high within the embedded market, well-trained Linux developers and Linux system administrators are in high demand. Open I.T Training are looking to meet this demand with a new Linux Training program that is vendor-neutral, technically advanced and created with the I.T Jobs market in mind. With online Linux training, Past and Mock examination papers, 24/7 Online support and unlimited access for 12 months course offerings, Open I.T courses can keep you and your developers ahead of the curve on Linux essentials. Invest in your skills or the skills of your team with online interactive training program, Video Tutorials are included as well as role-based training for IT professionals and developers. Master key tasks for Red Hat Enterprise Linux, Red Hat Enterprise Virtualization, and more. Red Hat Online Learning is our next-generation, self-paced online learning that addresses the real needs of the modern technology professional. These courses feature Videos, Audio, Questions and answer sections as welll as 24/7 support and past and mock examination papers delivering high quality content 24/7. Our Linux training course is for anyone who is interested in learning the fundamentals of the Linux operating system. This training course provides a general overview of the Linux operating system. Topics include partitioning and the boot process, basic system configuration, file management, and text stream processing. 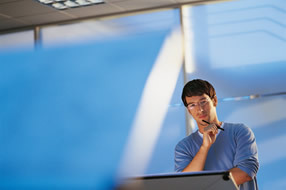 The series also covers user management, group management, and file permissions. Administrative tasks covered in this series include basic job scheduling utilities, as well as system backup strategies and strategies for system documentation and user support. This Training course is for anyone who is preparing to take the Red Hat Linux RHCSA EX200 exam. With the release of Red Hat Enterprise Linux 6, Red Hat replaced RHCT certification with RHCSA certification. RHCSA is now the entry-level Red Hat certification, testing core system administration skills. This series will prepare you to take the RHCSA EX200 exam. This Training course is for anyone who is preparing to take the Red Hat Linux RHCE EX300 exam. RHCE certification proves that you have the advanced training required to be a senior system administrator for Red Hat Enterprise Linux systems. This course will prepare you to take the RHCE EX300 exam. Note that for RHCE certification, you must also take the RHCSA EX200 exam. This Training course is for anyone interested in Linux system administration or for administrators or technicians preparing for the Red Hat Certified Technician exam (Exam RH202). This course provides both theoretical and practical information about the topics covered on the Red Hat Certified Technician exam. Learners will learn how to install and configure Linux Red Hat, as well as how to perform routine administrative and maintenance tasks.